Award-winning British choreographer and director Matthew Bourne doesn't miss a beat when it comes to creating vibrant, emotive dance. Edward Scissorhands is one of Bourne's classics and despite an absence of seven years, it still feels as magical as ever. 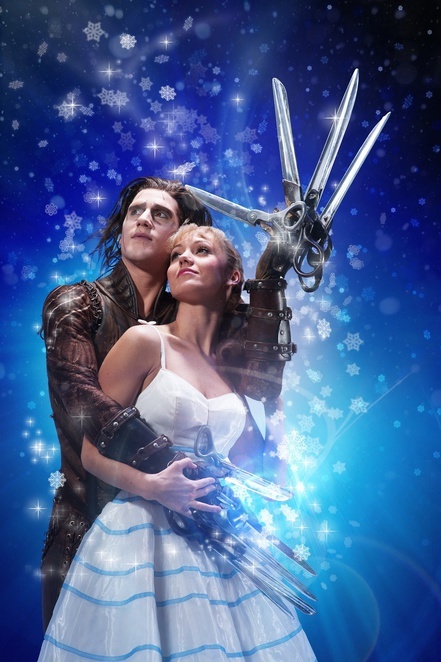 Using the dreamy Danny Elfman soundtrack from the film of the same name along with sublime choreography and costumes, it's a mesmerising, memorable show that even scatters the audience in snow for a feel-good finale. 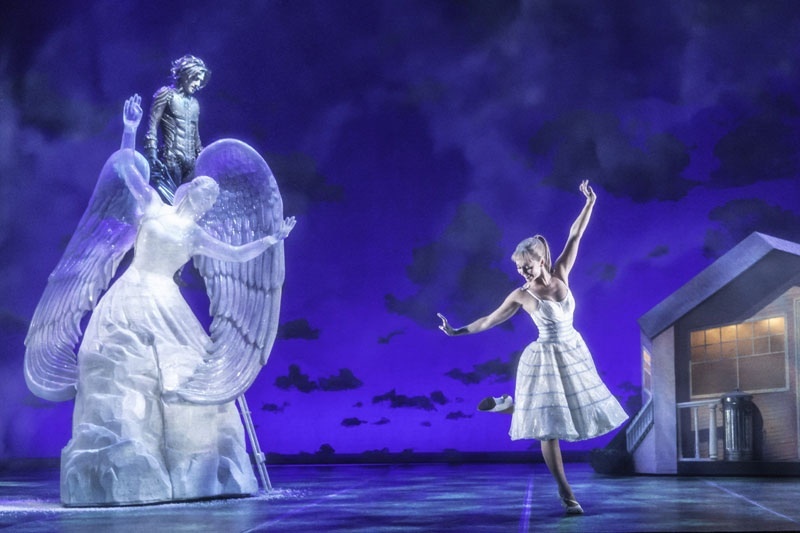 Matthew Bourne, who attended the opening night in Birmingham, has turned his hand over the years to My Fair Lady, Dorian Gray and the world-famous all-male Swan Lake ballet, to name a few. His all-dance Edward Scissorhands isn't a new show but it has been reinvigorated for this latest UK tour by Bourne's dance group New Adventures, and returns to Birmingham Hippodrome from February 10 to 14 for the first time in seven years. It's a spectacular production that brings to life the famous Tim Burton movie and has an added freshness to it, thanks to the slight reworking. It needs no words to portray the emotions and subtexts in a small American town affected by the arrival of the unusual Edward Scissorhands. It's clearly a big budget show from the moment the story opens with special effects, a huge Gothic set and dazzling costumes, none more so than our lovable lead character. Here we see a father losing his young son Edward in a freak accident. As the father puts all his efforts into recreating another little boy, he dies before he finishes his work, leaving our new quirky Edward to fend for himself with scissors for hands. But far from becoming an outcast, he is embraced within the local community of eccentric characters - the ageing seductress, the all American dads and the cheerleader. 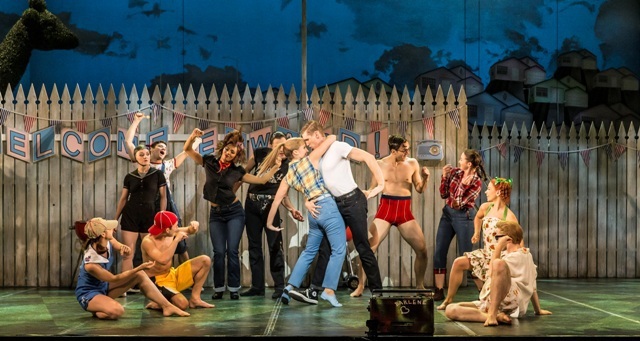 Playing the Johnny Depp and Winona Ryder roles from the movie are exceptional dancers in the form of Dominic North (sharing the lead role during the tour with Liam Mower) and Katy Lowenhoff (sharing the role with Ashley Shaw). They make easy work of what are obviously very difficult, intricate dance moves with a 1950s, modern slant. There are some wonderfully romantic pas de deux dances between the couple, including when hedges carved by Edward dance with them in a ballet inspired scene. Then there is the stunning moment when Edward carves his love a huge ice sculpture amid a snow storm. It's all breathtaking imagery that pulls you into the fantasy world. Above all, there's a commitment to character and choreography detail from start to finish that makes this more than just a bittersweet romantic tale. It's a coming of age drama, at times a comedy, and a sentimental journey that tugs at the heart with every snip of Edward's scissors. It's simply a must-see.